Hair Loss Newsletter: Reverse Hair Loss Now! Hair Loss Newsletter: "Reverse Hair Loss Now!" 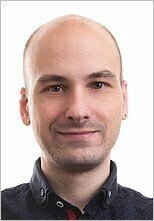 A hair loss newsletter that gives unique, fascinating information. If that sounds like something you'd like to read, then join "Reverse Hair Loss Now!" The best shampoos for hair growth, and which ones to avoid. The truth about magnetic hair loss products. BAT - What is it? And how can it help you battle against baldness? Ethnic groups - How hair loss varies between different races. Gaining new knowledge is vital when it comes to dealing with a problem as relentless as hair loss. So a hair loss newsletter containing cutting edge information is exactly what you need to get on top of your condition. In each new issue more hair loss facts and hair regrowth secrets will be revealed. It's emailed out to you once a month. "Hi Paul, I am really enjoying your newsletter! Keep em coming thanks for doing it." "Reverse Hair Loss Now!" will bring you the most important discoveries delivered directly to your in-box. It contains essential information for anyone who is serious about stopping hair loss. Important: Your details will only be used to send the newsletter once a month. However, very occasionally, there might just be a "special" issue sent as well, but that's all. You will not be sent spam, and your name and email address will never be sold or given to anyone else. At the bottom of every newsletter is an "unsubscribe" option. You can unsubscribe at any time simply by clicking that link. If you do so, your personal information will also be deleted. 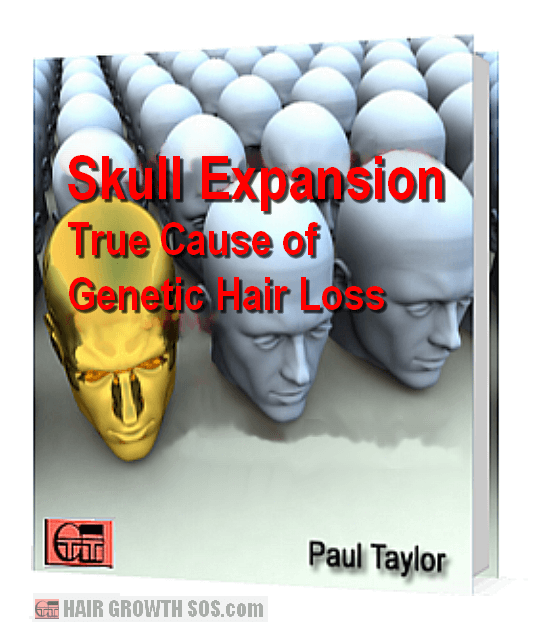 "Skull Expansion - True Cause of Genetic Hair Loss"
This ebook reveals the true underlying cause of androgenetic alopecia (the most common type of hair loss in men and women). The truth is finally out! 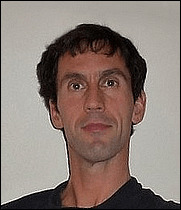 Learn how skull bone growth causes hair loss simply by reading this free ebook. Learn more about the Skull Expansion ebook. "I am very happy to say that my hair has got a lot thicker these last few weeks. Thank you!"